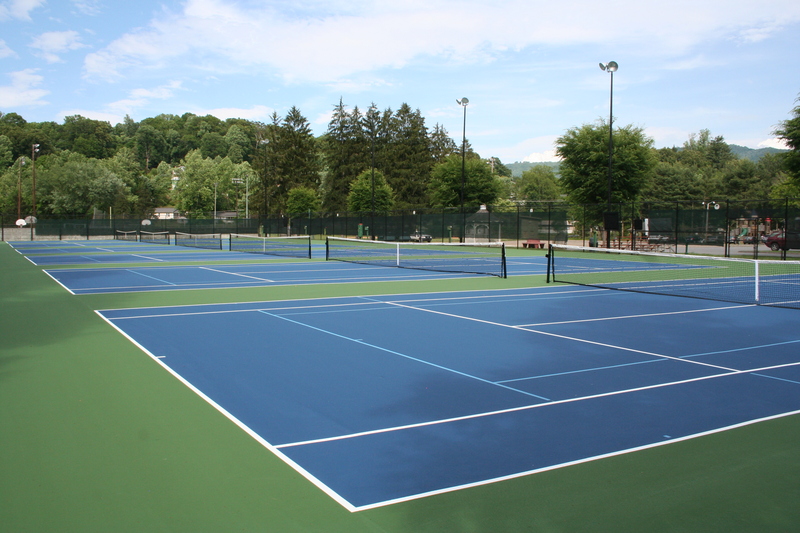 The Waynesville Parks and Recreation Department recently gave the tennis courts at Recreation Park in Waynesville a complete new look. The courts are open to the public beginning 8 a.m. Friday, June 6. Court One, of Granite Quarry, North Carolina, was hired to repair the existing cracks on the tennis courts and to apply a new surface. The new look includes a blue court with a green boundary. Staff from the Waynesville Parks and Recreation Department completed other upgrades, including painting the fence and light poles black. Engraved bricks were also put in place outside of the courts. Funding for the work was made possible by the Waynesville Tennis Association and the town of Waynesville. Many local players, such as Amy Riggs, are very proud to have players from other towns visit Waynesville and play on the new courts. The courts are open daily from sunrise to 10 p.m. and are located at Recreation Park in Waynesville.